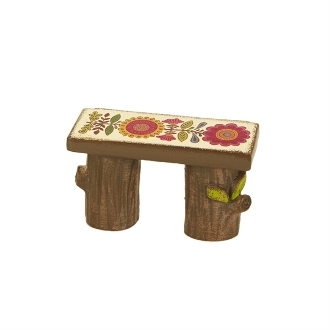 Fairy Wooden Bench for Miniature Gypsy Fairy Gardens. Full Description: This rustic mini wood bench goes perfectly with our mini tee pee and is a great little fireside seat! Designed by Genevieve Gail, this item features all-weather paint and flower pattern details.